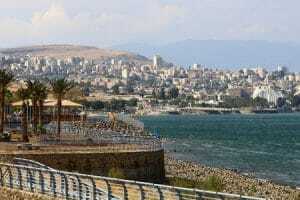 The Sea of Galilee, otherwise known as the “kinneret” is Israel’s biggest fresh water reservoir and also takes the large role of being one of Israel’s most important source of drinking water. From the lake’s fresh water to panoramic views, the sea of Galilee has something to offer for everyone. the small but beautiful lake is famous for it’s historic and Biblical importance in Judaism, Christianity and Islam, making it a unique site for all. the picturesque lake is surrounded by rolling mountains and hills, what makes it one of Israel’s most breathtaking attractions. 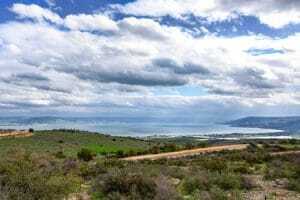 There are many hiking and biking options in the “kinneret” area, such as Mount Arbel or “shvil sovev kinneret” . After hiking, Feel free to cool off in the refreshing water at one of the many beaches in the area. From quiet romantic getaways, to crowded and lively beaches, the kinneret has a place for everyone. if you are interested in Christian sites, don’t miss the many famous monasteries that overlook the magnificent lake.